Greg Hunt, Catherine King and two former health ministers have led a heartfelt bi-partisan parliamentary tribute to the late Donna Staunton. Ms Staunton, well-known to the health sector as a public affairs and policy adviser, passed away late last year following a short illness. Her funeral was attended by a range of stakeholders and key decision-makers, including some of the pharmaceutical sectors most senior leaders. 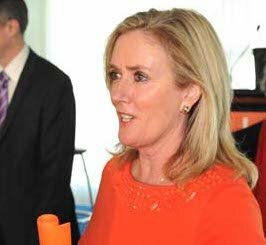 Speaking in the House of Representatives, health minister Greg Hunt described Ms Staunton as "one of Australia's great health policy professionals and advocates." "As a professional, of course, her achievements were legion. Amongst many other things, she had appointments to the Hearing Care Industry Association; the National Breast Cancer Centre; New South Wales WorkCover, one of her great passions; the Cooperative Research Centre, or CRC, for Mental Health; the National Pharmaceutical Services Association; the Medicines Partnership of Australia; and the LifeHealthcare Group," he said. Shadow health minister Catherine King noted, "Despite the solemnness of the occasion and the reason we are here, I can't help but think that Donna would have a bit of a wry smile over this - that Greg and I have united, which we don't often do. "I'm sure she would have been most amused by that. I do want to add my voice, both in this place and beyond, to those who've conveyed their sadness over the loss of Donna. I too would particularly like to acknowledge the presence of Madeleine, Donna's daughter, and I pass on my condolences to you and to your brother, Jack, for your loss." She continued, "...Donna became one of the few individuals appointed to senior government boards by both Labor and Liberal governments, such was the high esteem in which she was held. These same attributes are what endeared her to so many and what have led to the flood of tributes that have followed her untimely passing." According to minister for home affairs, immigration and border protection, and former health minister, Peter Dutton, "A lot has been said, and quite ably, by the health minister and shadow health minister about Donna's professional background and the contribution she made. I wanted to join this debate not to add to that or to repeat the many accomplishments and attributes of her professional career; on a personal note, I wanted to associate myself as somebody who had a lot of time for Donna. I admired her very much and I enjoyed her friendship. "Sometimes it's a sad reality that you don't learn as much as you should about somebody until their passing or until a life event, and there's a lot that I've learnt about Donna's professional background, but there's nothing that I've learnt in terms of the person that she was. I already knew that she was a great mum who loved her children." Another former health minister, Sussan Ley, said, "My own experience with Donna revolves around two things: her bright, shining, charming personality and her care for other people...Donna had the sort of personality where, if you had a meeting with her, you actually felt energised and better for speaking with her. "She was a person who gave you energy but never drained it from you. She was a person who came very carefully with requests, with advocacy and with information but never with demands. I can remember meeting her when I hadn't been in the position for very long, and the first thing she said to me was, 'How are you?' She said it in a way that made me know that she was actually interested in the answer and keen to contribute, if she could, to making the circumstances of my life, in that very small moment, more positive."